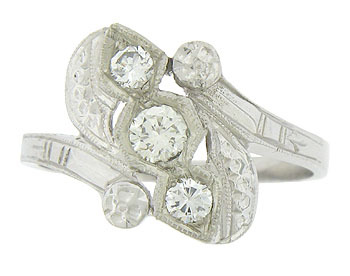 A trio of dazzling round cut diamonds set fire to the face of this stunning antique engagement ring. 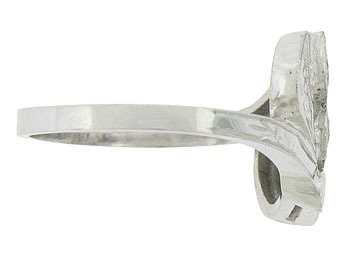 Abstract cutwork leaves, vines and blooms twist around the ring and press into the center mounting. 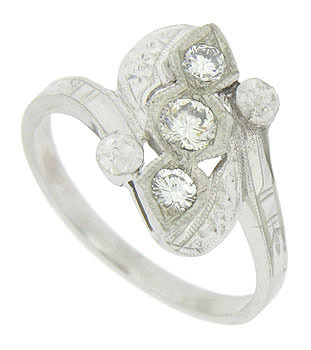 The Art Deco ring is crafted of 14K white gold and set with .34 carat total weight of diamonds. 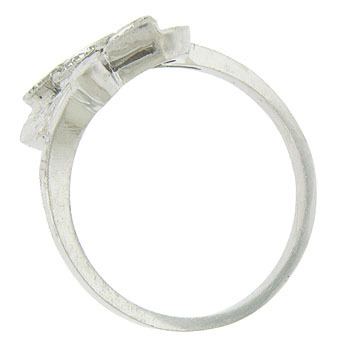 The ring measures 14.76 mm in width. Circa: 1930. Size 6 3/4. We can re-size.